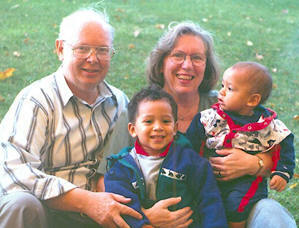 I give God through the Lord Jesus Christ all the glory for all the inventions and ideas he has given me over the years. The joy of the Lord is my strength. Special thanks to my wife Sandy who has led me in learning about culture, music, the arts and opening my vistas by visits to many museums and gardens. With thanks to my Grandfather Pa, my parents Milton and Olive, Aunt May, my daughters Julie and Susan and their families, my Brother Harry and Sister Sandra and their families, my pastors and fellow church members and the judges and court staffs I worked with for over 40 years. 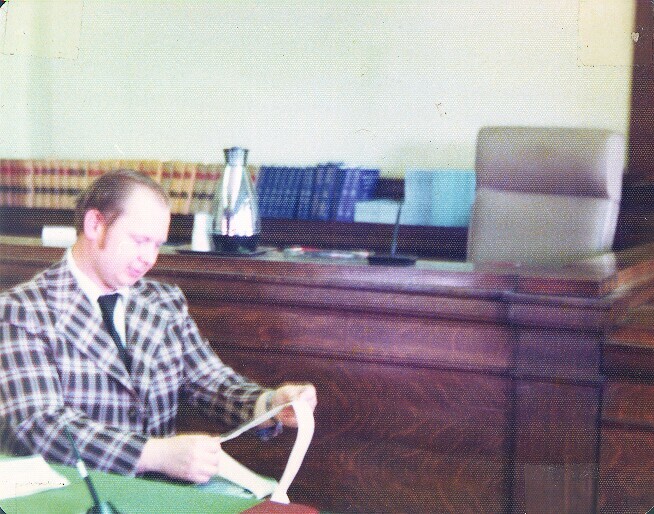 With special thanks to the past generations of court reporter leaders who developed the stenotype techniques and who provided me with the skills needed to perform the duties of a court reporter, including Berry Horne and the Philadelphia Clinic authors Joseph A. Miller, Harry J. Foster and Martin Fincun. 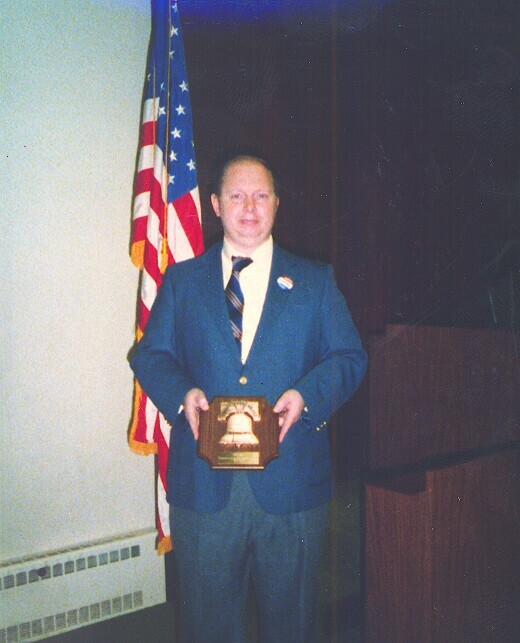 Bill Parsons holding Liberty Bell Award presented to him by the Meriden, Wallingford, Southington Bar Association at their Law Day Ceremony on May 1, 1986.